The Senate has confirmed the appointment of new military chiefs by President Muhammadu Buhari. 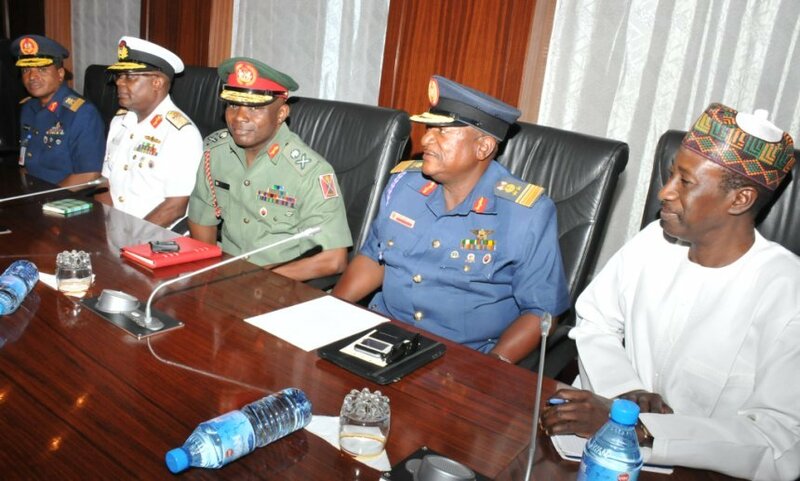 The president, on July 13, appointed new service chiefs for Nigeria’s armed forces. They are Maj-Gen. Abayomi Olonishakin, Chief of Defence Staff; Maj-Gen. Tukur Buratai, Chief of Army Staff; Rear Adm. Ibok-Ete Ibas, Chief of Naval Staff. Air Vice-Marshal Sadique Abubakar was appointed the new Chief of Air Staff, while Air Vice-Marchal Monday Morgan was named Chief of Defence Intelligence. The president also appointed retired Maj-Gen. Babagana Monguno as National Security Adviser. After hours of screening of the military officials on Tuesday, the senate formally confirmed the appointments. The Senate president, Bukola Saraki, urged them to tackle Boko Haram, insurgency and oil theft in the country. The House has yet to announce its decision.